Here at LondonTown, we know a little something about the best places to eat in the city. It's not just the quality of the food that we judge our favourites on. It can be the setting, the location, the views, the staff - anything that makes for a perfect all-round dining experience in London. We've compiled our favourite places to grab a quick bite to eat, a wholesome lunch or an intimate dinner. They all come with our personal seal of approval! "A bit of a diamond" is how Jay Rayner described 10 Greek Street in The Observer when a team from The Wapping Project first opened the Soho restaurant in February 2012. Anyone can do bare walls and pared down decor, he argued, but not all succeed in serving the quality of food that you get here. Considering the excellent standard offered by the short menu which changes daily the food is very good value, helped by the fact that they don't take bookings in the evenings so tables are constantly filled - good news for your pocket, perhaps not such good news for the impatient. Still, it is worth the wait. You'll be rewarded with enticing dishes like razor clams served with peas and pancetta, or pickled herring, broad beans, fennel and chilli to start, followed by mains of Cornish hake, Tamworth pork or crumbed goat served with crushed Jersey Royals. The high quality endures to dessert, so leave room for the salted chocolate and caramel tart, creme fraiche or try the rhubarb, grappa and amaretti trifle. Food critic Marina O'Loughlin described 10 Greek Street as part of "a culinary revolution in Soho". We'd go even further and say it's our favourite restaurant in this part of town. London's version of the successful New York restaurant. Fifteen years on from the launch of his New York Parisian-style brasserie Keith McNally returns home with a London branch of Balthazar, housed in the sharing the old Theatre Museum, The Flower Cellars building, with the London Film Museum. McNally is an English ex-pat who has built an empire of stylish brasseries in New York - Minetta Tavern, Pastis, and Balthazar among them - which appeal to locals, A-list celebrities and tourists alike. Given his huge success in the States, the promised opening of his first London restaurant has the critics salavating in anticipation. Balthazar NY will be brought to London with the restaurant serving French classics such as bouillabaisse and cote de boeuf and there will be a bakery serving cakes, quiches and pastries. Interiors will be faded glamour, shabby but chic - right down to the toilets (a notable feature of the Manhattan restaurant), and service will be slick with a high turnover of tables. We suspect it will be a success. Not bad for the boy who started out as a bellhop at the London Hilton. English comfort food and late night cocktails. Hot dogs and champagne from The Ledbury chef, James Knappett and his wife. First we had Burger & Lobster and now comes hot dogs and grower Champagne. Opened in August 2012, Bubbledogs on Charlotte Street offers a choice of ten hot dogs. Short and to the point. Each is served on traditional steamed buns with choices including the BLT dog, wrapped in bacon and served with truffle mayo and caramelized lettuce; the Jose dog with guacamole, sour cream, salsa and jalapenos, and a regularly changing guest chef's special. But a closer look at the team behind Bubbledogs quickly reveals that this is not your average fast food joint: husband and wife team James Knappett (previously of The Ledbury, Noma and Marcus Wareing at The Berkeley, among others) and Sandia Chang (who has worked at The Berkeley, Noma and Per Se) are the pair who have come up with this unusual concept, offering a classic Americana experience with a difference. Sit at the restaurant's 'Kitchen Table' for an up-close experience (for a maximum of 19 guests) where Knappett prepares, serves and talks through his dishes. A main dining room, a bar and a coffee roastery are all housed in this laid back venue. The taste of the country is brought to the city. This high rise restaurant boasts a unique menu and spectacular views. The steak buns and Korean fried chickens wings are finger food at its best. The second London opening from chef proprietor Ross Shonhan who brought us the ever-popular ramen restaurant Bone Daddies, Flesh and Buns is a laid back Japanese eaterie offering tasty parcels of folded steamed buns. For this below street-level Covent Garden restaurant he has taken inspiration from Japanese izakayas, informal bars for eating and drinking, specialising in hirata buns - folded steamed buns typically filled with pork - which originated from Taiwan. Buns are served with 'flesh' and salad vegetables, sauces and pickles, and you're encouraged to build your own from a choice of fillings. The kitchen, which is headed by Joe McCafferty, previously of the acclaimed Roka restaurant, also prepares a raw section - sashimi and oysters - and small plates of maki rolls and Japanese bar snacks including chicken yakitori, prawn tempura with lemon ponzu and fried squid karage with shansho salt. Best washed down with frozen yuzu margaritas, infused sakes, Shochu and Japanese whiskeys. A rock soundtrack that fans of Bone Daddies will recognise helps to create the laid back vibe. A winning formula of delicious pizzas and very reasonable prices. 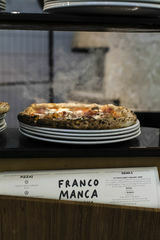 With its distinct brand of slow-rise sourdough pizzas and very reasonable prices, Franco Manca deserves every bit of its outstanding reputation - you only need to look at the queues to realise its popularity. Expanding from its original branch in Brixton, the small chain now boasts outlets all across London, with every one sticking to the original formula of delicious pizzas and low prices. The simple menu consists of six pizzas made with ingredients like fresh mozzarella, made daily on Lloyd Green's organic farm in Somerset; tomatoes from small co-op of organic producers in Italy; and ham and sausages made in partnership with David Tomlin from the Rare Bread Survival Trust. The drinks menu is equally simple with the choice between one lager, one ale, organic wines, traditional prosecco and a range of soft drinks. Here it's all about quality and we'd be hard pushed to stray anywhere else for our pizza fix. Huge gastropub that has a strong English theme. This huge gastropub is another ambitious project courtesy of the people behind Cubitt House (Stefan Turnbull and Barry Hirst, the guys behind The Thomas Cubitt, The Orange, and The Pantechnicon) who have been brought in by the Portman Estate who also own the nearby Portman Bistro and the Vinoteca wine bar, to re-hash what used to be the Bricklayers Arms in New Quebec Street. An expensive refurbishment has transformed The Grazing Goat into what appears to be a large country house, set in the Marble Arch end of Marylebone. Inside, you'll find a strong English theme, regarding both the interiors and the menu. 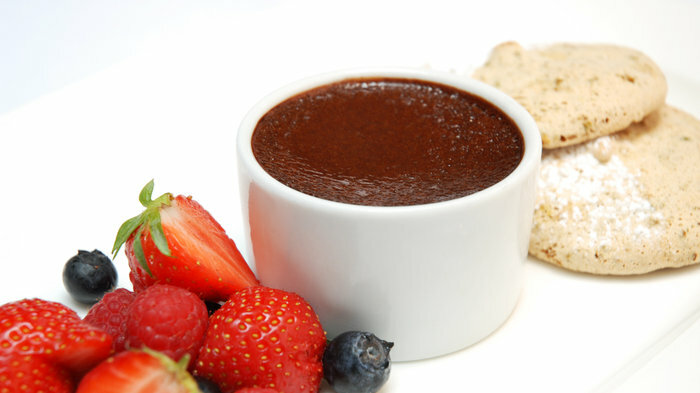 Simple British food is the fare of choice here with fish and chips, steaks and Sunday roasts all found alongside more modern dishes, such as the chilli salt squid on the starter menu. And for those that can't bear to tear themselves away after a hefty meal, there are eight boutique hotel rooms upstairs, with six standard rooms and two suites. This popular restaurant serves tapas style comfort food. Following the huge success of his original Polpo on Beak Street, restaurateur Russell Norman has set up a mini chain with a number of other Polpos popping up around town. Two years after the first Polpo brought a little piece of Venice to London in September 2009, Polpo Covent Garden opened on Maiden Lane. Originally Da Polpo, this second site is "small and cavernous with just a touch of speakeasy", says Tatler magazine. Situated next to the Vaudeville Theatre's stage door, "it's something of a luvvie favourite". With room for 70 diners, there's a meatball section on the menu which includes arancini, mini pizzas and fried fish accompanied by good, young local wines and Italian cocktails served in Duralex glasses. All the Polpo branches also started offering brunch in 2016, serving up a brunch pizzetta, poached eggs on scafata, and cinnamon and ricotta doughnuts alongside strong coffee, breakfast bellinis and bloody Marys. For more visit Polpo Smithfield, Polpo Notting Hill or Polpo Chelsea, which is the perfect option if you're looking for al fresco dining. Another winning eaterie from the Hart brothers. Fino and Barrafina owners brothers Eddie and Sam Hart, best known for their Spanish cuisine, have taken over Quo Vadis, an Italian stalwart in Soho - and a landmark since 1926, sold off by Marco Pierre White in 2007. They've smartened up the place with a new paint job, leaving the stained glass windows in place and adding a private members' club upstairs. The classic Italian menu has been largely overhauled. British and Modern European dishes take centre stage and include such delicacies as veal cutlet from the grill, pan-fried with sage butter, and crab tagliatelle. Inevitably, given this is a Hart brothers' venture, there is a Spanish bent found in dishes like the starter of crayfish tails with crème fraîche and tomato and razor clams a la plancha with a drizzle of garlic, chilli and olive oil dressing. On the popularity of Fino and Barrafina alone, this is sure to be another winning eaterie from the Hart brothers. Bric a brac, shabby chic in design but executed perfectly with many restored elements. This hidden canteen is a must-visit for those in the know. Housed within an old Victorian bike shed, Rochelle Canteen is a unique dining concept and a must-visit for those in the know. To reach the restaurant guests need to head towards the Victorian school by Arnold Circus, find the door with 'BOYS' written above it and ring the bell. It may sound like a bit of a trek but once you've made it there, the food will ensure it was worth it - Rochelle Canteen can boast James Ferguson, once under the tutelage of Gordon Ramsay himself, as head chef while the owners are Margot Henderson and Melanie Arnold, who previously ran The French House Dining Room on Dean St, Soho. There's a strong school cafeteria feel with shared tables and there's a daily-changing menu of British food with a continental influence. Expect dishes like deep-fried rabbit and aioli, grilled quail with Florence onions and romesco, and tomato and rosemary risotto. It's not licensed but guests can bring their own alcohol. So, grab a bottle of wine, and perhaps a map, and head straight to the Canteen for a long boozy lunch - be sure to visit on a sunny day and grab a table in the garden. Small plates of food that are inspired by down-town New York. The creators of the highly popular Polpo and Polpetto have brought a third establishment to the London restaurant scene. Russell Norman and Richard Beatty introduce Spuntino, which means 'snack' in Italian, to the streets of Soho, following the small plates theme of the first two restaurants but this time taking influence from down-town New York. Think classic macaroni and cheese, shoestring fries, soft-shell crab and meatball sliders. The drinks list inventively features cocktails from the prohibition era such as the Sazerac, a potent combination of cognac, whiskey and absinthe. Unfortunately, the restaurant has no telephone and doesn't take reservations. British country house cuisine wih the occasional French nod. The Thomas Cubitt - named after the great Belgravia architect - is a perfect paneled pub, enclosed by French windows on two sides which open out on to the pretty Elizabeth Street and the huddles of tables outside, adding to the light, airy feel. The menu is focused on unfussy British country house cuisine, with occasional nods to traditional French food. Crisp crackling, slow-cooked Sunday roasts, fresh seafood, chocolate sponge, and lots of seasonal game and cheeses are the mainstays. The dining room prices are eye-watering (not surprisingly given the location, and the stunning building), but the short bar menu is excellent value, and it packs out at weekends. If you like this sort of thing you're in luck, the owners also run The Pantechnicon, The Orange (their first pub with rooms), and The Grazing Goat which are unique but all have the same Cubitt House feel with light, airy dining rooms and decent gastropub menus. From cheap budget accommodation to luxury 5 star hotels see our special offers for hotels, including Holiday Inn London - Kensington from 74% off.